What is your team purpose? How do you deliver that value? What can the team achieve that an individual cannot? Are all of the team members aligned to your team purpose? Have you explored the individual purpose of each team member? What is it about your purpose that can inspire each team member? What is the meaning behind your team? In partnership with a revolutionary company called New Meaning, Winning Teams are introducing a new approach to understanding and managing the real meaning of the relationship between the individual and the workplace. The Team Meaning Index calculates an index that reflects the extent to which the organisation is a meaningful place to work. Once the index is understood the next step is to help employees help the team and ultimately the organisation to shape a meaningful work place using the Personal Meaning Index. 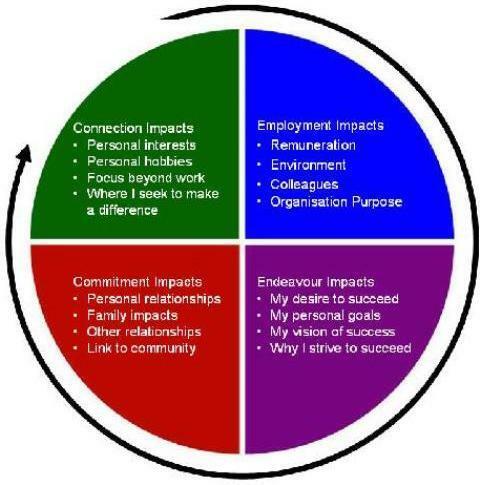 The PMI helps each employee understand the personal fulfilment and success they are seeking to realise in their life and where they are relative to that goal. 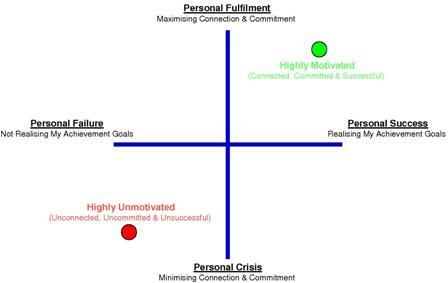 The objective is to help all employees move from the bottom left to the top right where they feel both fulfilled and successful – with their work supporting this state. If an employer can help its employees head towards this ideal it will have shaped a meaningful place to work, positively impacting work force performance and loyalty. This approach can be counter-intuitive to many organisations because it uniquely places the employee goals on an equal footing with those of the team and the organisation. Organisations’ with meaningful work places succeed at managing the tension between the two using the TMI and PMI. What is your team vision? Have you created a vision of winning performance? What will the journey toward the vision be like? How will you know when the vision is realised? Shouldn't your vision extend beyond your immediate capabilities? By clearly creating and communicating your Team Purpose, Team Meaning and Team Vision you will have established the key bedrock upon which every Winning Team is built.